Please thank the doctors on my behalf; I'm very happy with the results. I can see a difference in my neck! . 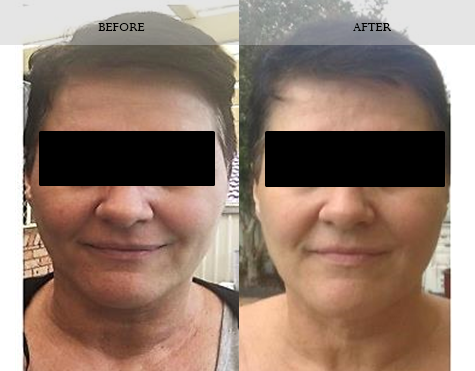 Facial Thread Lifting is a quick, minimally invasive treatment for people with aging facial features; but who are not ready for a surgical facelift, which removes large areas of excessive skin, fat and tissue. 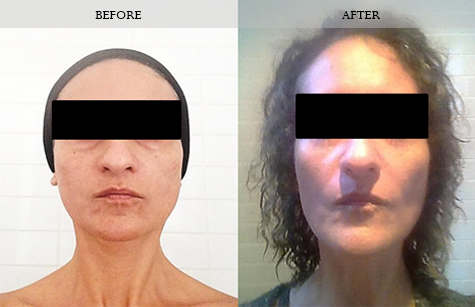 Thread Lifting tighten and lift your facial structures using needle and suture instead. Areas which can be treated include the outer brow, the cheeks, for sagging in the main cheek, naso-labial (nose to mouth) and lower eye areas, the jaw line for jowls, and the neck for sagging skin - “chicken neck”. The threads leave no scars, are simple to insert, and have minimal down time. 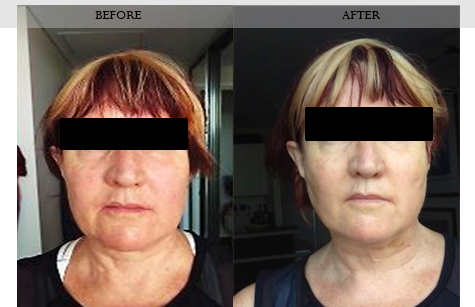 One treatment per area is enough to achieve immediate visible results, even more so after about 3 - 4 weeks. The results continue to improve over a 3 - 6 month period as your own collagen begins to grow around the threads aiding the lifting effect. The effects of a thread lift can last up to 3 years. Who is ideal for this procedure? Thread Lift is best suited to patients between 30 to 60 years old. Private prices for a thread lift vary depending on the area(s) being treated and can start from approximately 2000 USD for one area. Recovery is generally quick, with most patients returning to work the next day. However, you may find that your facial movement is limited for the first two weeks. 1. You can resume normal activities (light walking, watching television etc.) after the procedure but you should take it easy during the first few days. 2. You should not talk or smile excessively or make exaggerated facial movements for the first few days. 3. You should not sleep on your face for the first week. 4. You should not massage, rub or apply pressure to your face for one month as this could disturb the threads. The American Academy of Aesthetic Medicine (AAAM) educates and trains physicians in the science and techniques of aesthetic medicine, which are minimally invasive cosmetic procedures. Physicians who train with AAAM are on a path to becoming Board Certified in Aesthetic Medicine. Our academy is inviting patient volunteers who are interested in receiving free treatments during procedure demonstrations in our training workshops. All procedures offered,during AAAM workshops are complimentary. Signups are at a first-come-first-serve basis. After registration, your appointment will be confirmed via email. Once confirmed, please adhere to your appointment as slots are limited and you are holding a slot someone else may have been able to fill.